What is missing in most curricula – from elementary school all the way through to university education – is coursework focused on the development of problem-solving skills. Most students never learn how to think about solving problems. Besides being a lot of fun, a puzzle-based learning approach also does a remarkable job of convincing students that (a) science is useful and interesting, (b) the basic courses they take are relevant, (c) mathematics is not that scary (no need to hate it! ), and (d) it is worthwhile to stay in school, get a degree, and move into the real world which is loaded with interesting problems (problems perceived as real-world puzzles). 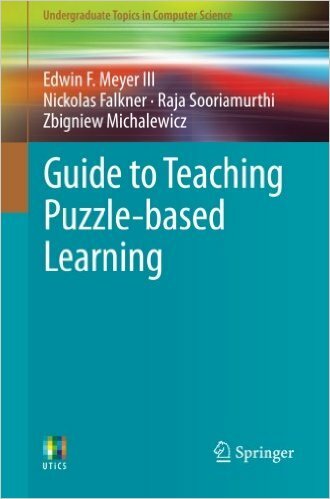 This book provides insights drawn from the authors’ extensive experience in teaching Puzzle-based Learning. Practical advice is provided for teachers and lecturers evaluating a range of different formats for varying class sizes. 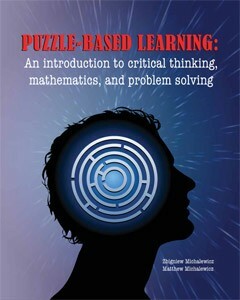 Features: suggests numerous entertaining puzzles designed to motivate students to think about framing and solving unstructured problems; discusses models for student engagement, setting up puzzle clubs, hosting a puzzle competition, and warm-up activities; presents an overview of effective teaching approaches used in Puzzle-based Learning, covering a variety of class activities, assignment settings and assessment strategies; examines the issues involved in framing a problem and reviews a range of problem-solving strategies; contains tips for teachers and notes on common student pitfalls throughout the text; provides a collection of puzzle sets for use during a Puzzle-based Learning event, including puzzles that require probabilistic reasoning, and logic and geometry puzzles.